With years of experience in the region we know what makes a fun day out so with our wealth of knowledge have put together a stellar line up of some of the region’s best for our small and relaxed small group tours. It is our aim to provide fun and informative tours that will leave you with lasting memories. Book your tour now. 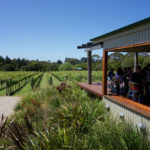 Our small group public Mornington Peninsula wine tours depart every Wednesday, Thursday, Friday, Saturday & Sunday from both Melbourne CBD and the Mornington Peninsula. Wine Compass has had the pleasure of running thousands of tours to the Peninsula. If you want to spend a fun day out doing something a little different, our public wine tours allow you to experience some of Victoria’s best wine, food and produce. Each of the wineries we have selected designed to complement each other, iconic and authentic, boutique but fresh and new, picturesque and charming, small and family run, rustic and relaxed, friendly and fun, you get it all on this tour. We like to steer clear of some of the bigger guys because you tend to become a number rather than a guest. 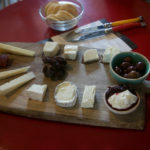 Can’t decide between wine, beer, cheese, cider, gin? Don’t worry about it, you don’t need to because on this tour we visit them all. Perfect for anyone wanting a bit of everything it’s a great way for us to showcase all of the amazing things the Peninsula has to offer. 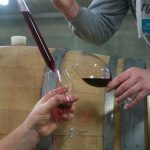 If you are wanting to explore more than just the wine scene or perhaps you have already hit some of the wineries so are looking for something a bit different then this is the tour for you.